A short story is a writer's way of thinking through experience... 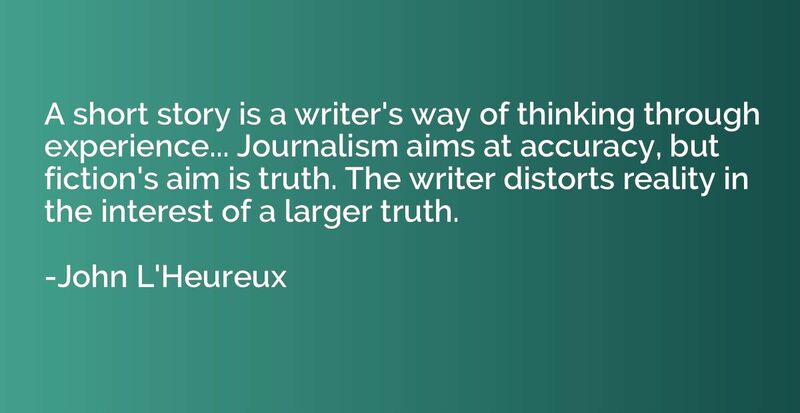 Journalism aims at accuracy, but fiction's aim is truth. The writer distorts reality in the interest of a larger truth.